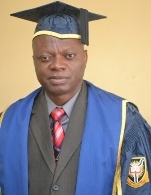 This is consequent on the series of workshops and activities to equip staff and students of the University of Ibadan on how to deploy the Geographic Information Systems (GIS) technology. The main goal of Geohackathon is to promote innovation as the catalyst for sustainable development by encouraging the adoption of geospatial technology for research in order to develop innovative products and solutions for Nigeria’s developmental challenges. In partnership with GIS Konsult Ltd and with the sponsorship of HITACHI, I am glad to announce to you the launch of another stage in the Geohackathon Competition series- “Tell Your Story Online Competition” (flier is attached).